Lovely and simple! These earrings can dress up or down! The stones measure about 8mm long and are glass and gold plated brass. The earrings dangle about 2.5" long. 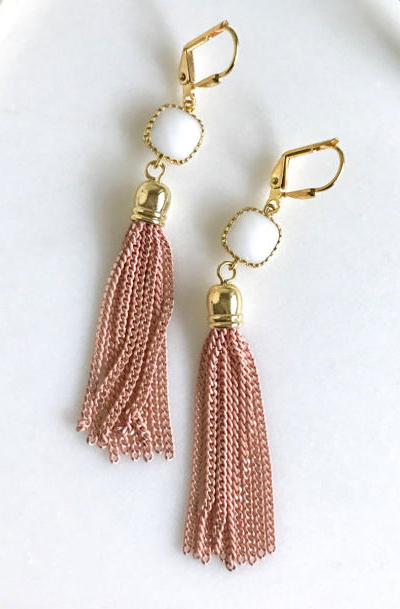 The tassels and earwires are gold plated brass.